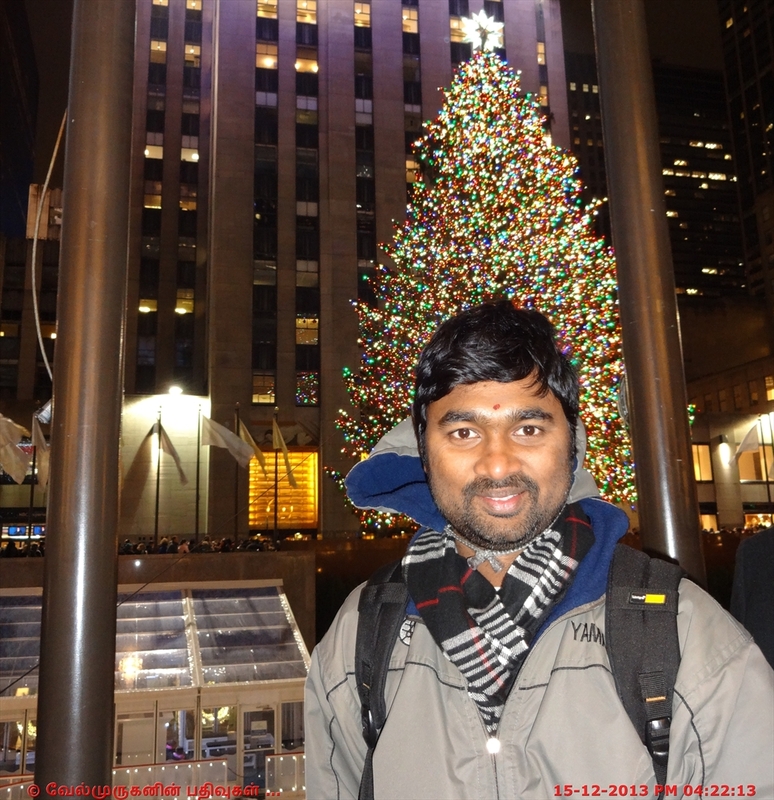 The NYC Rockefeller Center is a complex of 19 commercial buildings covering 22 acres (89,000 m2) between 48th and 51st streets in New York City, United States. 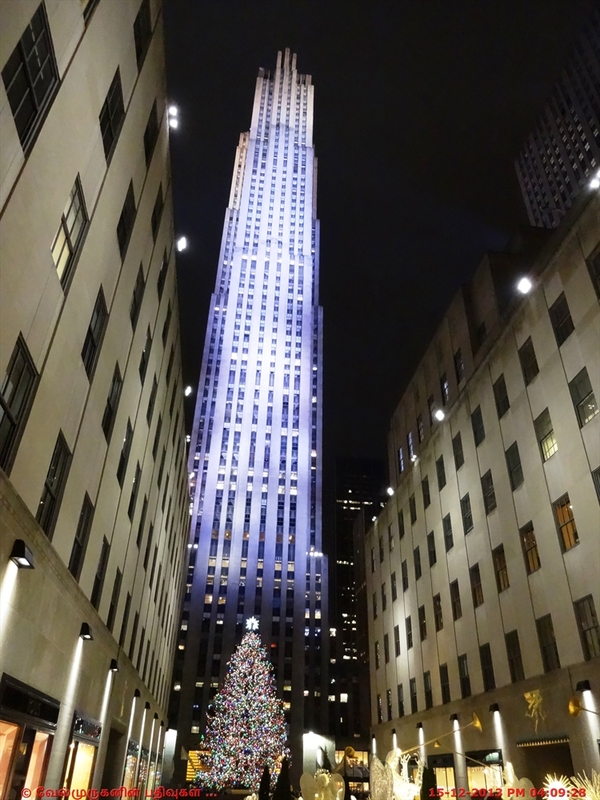 Built by the Rockefeller family, it is located in the center of Midtown Manhattan, spanning the area between Fifth Avenue and Sixth Avenue. 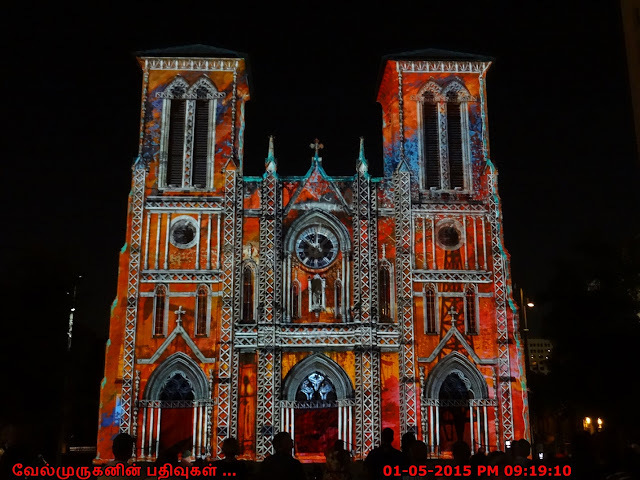 It was declared a National Historic Landmark in 1987. 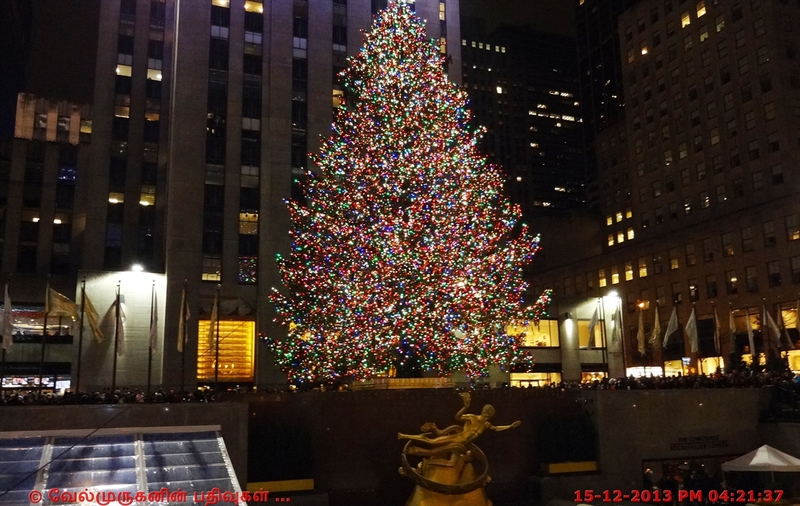 The 76-foot tree's 45,000 multi-colored LED lights sparkled on with the flick of a switch just before 9 p.m. 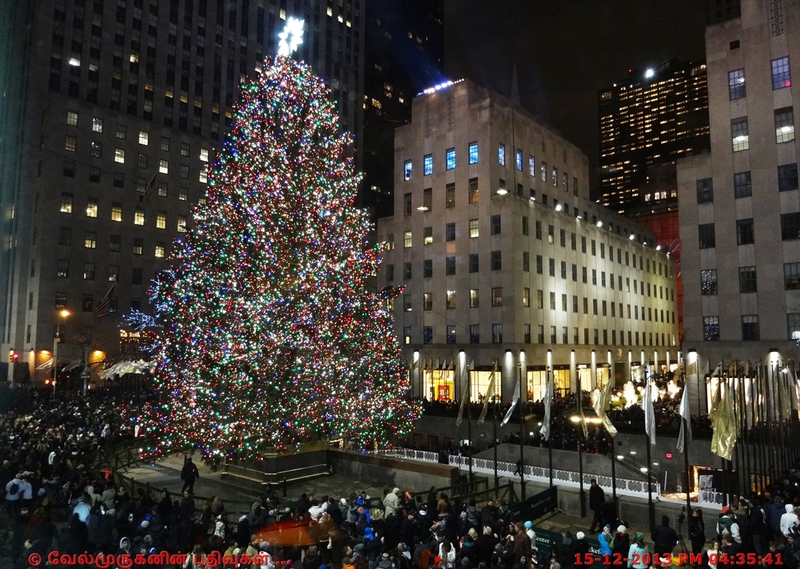 Topping the 12-ton Norway spruce is a 9 1/2-foot-wide Swarovski star. 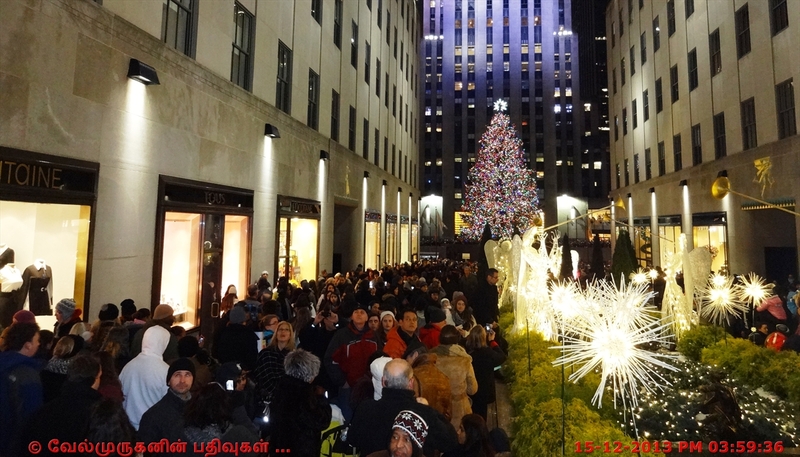 Saks Fifth Avenue unveiled their iconic holiday 3D light show to NYC and the world. The entire building comes alive with snowfall, ice skaters and the mysterious Yeti, who is rumored to live on the roof making snowflakes during the holiday season. The show runs every three minutes from 5 pm -11 pm. 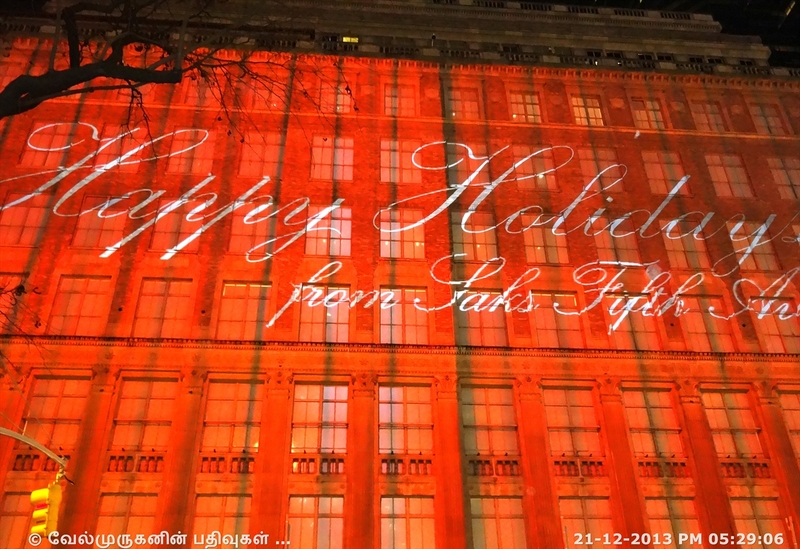 Animated projection of Christmas show on the Saks building opposite Rockefeller Center on Fifth Avenue - Happy Holidays visual video.